If you upgraded your XOOM over the past week to 4G but were not interested in adding on a data package to it, feel free to give it a go by using the 4G LTE SIM out of your current 4G phone. That’s right, if you have a Bionic, Thunderbolt, Charge, etc. you can power it down and toss its SIM card into your XOOM to get up and running on LTE in just a few minutes. While I have yet to send mine off for upgrade and could not try it myself, we have had two readers swap with no trouble. Now, understand that with your SIM out of your phone you will not be able to receive calls. So have fun testing the power of 4G on your tablet, but make sure you don’t leave it in there for an extended amount of time or you may miss out on tonight’s toga party. Also, we have no idea how Verizon plans to handle this. Tablets were supposed to have tiered data plans that start out at 2GB per month. By swapping over your SIM, this should just pull from your unlimited data plan without problem, but we just want you to be aware of a situation that will like change. Basically, be careful. 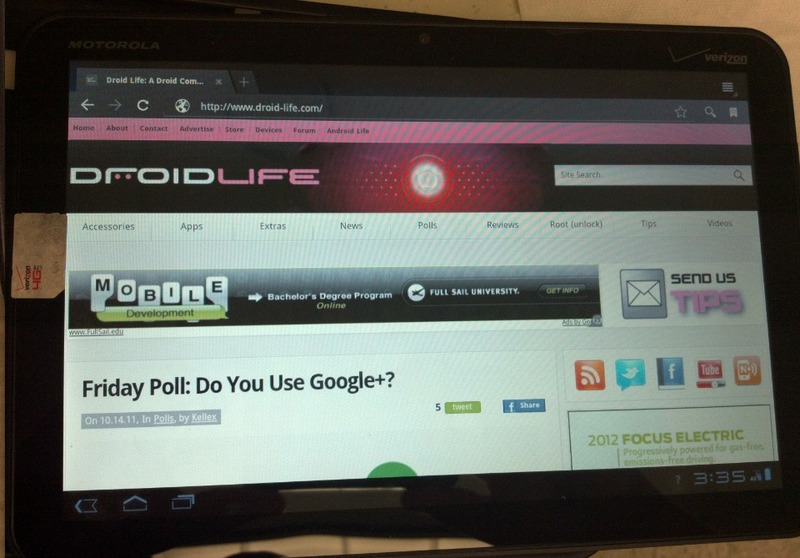 Friday Poll: Do You Use Google+?